It’s probably wrong to love a shmear as much as I do. Hummus is great, but baba ghanouj seems more special. 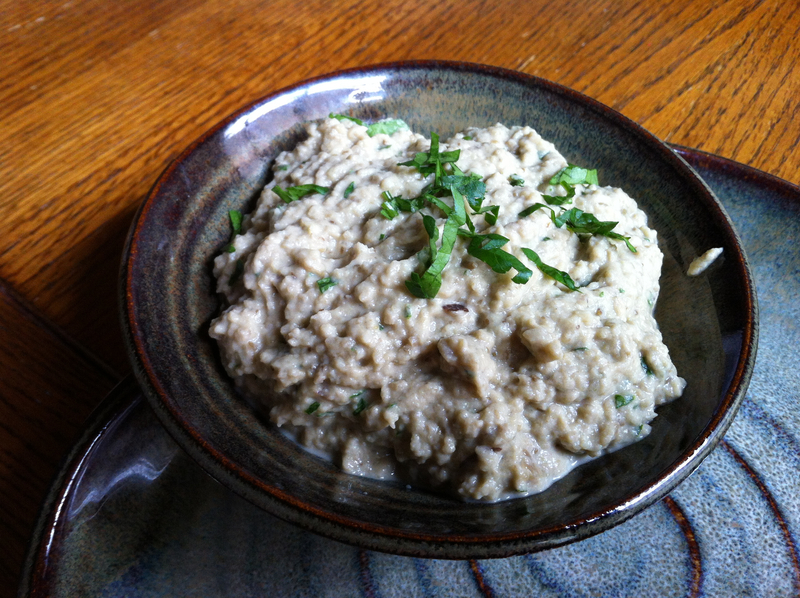 At it’s simplest, it is pureed eggplant with seasonings. At it’s most complex, it is refreshing yet substantial in its flavor. 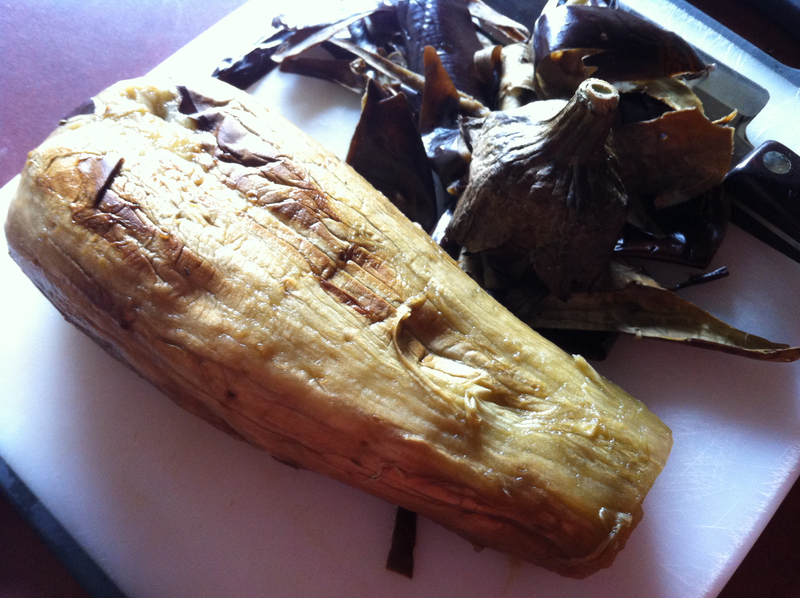 I was surprised at how easy it was to make, and how strange a peeled roasted eggplant feels. After you roast and peel it, the eggplant feels like something you’d pull out from a corral in the ocean. Once you get past the strange feel of it and start cooking (literally) you’re one step closer to adding the perfect compliment to your meal. 3. Beat tahini with one tablespoon of water and lemon juice. Add to food processor. Add garlic and salt and process until it’s pureed. Add parsley and process until combined. Taste and tweak salt as needed. Serve!